Modern bathrooms and contemporary home designs, start with modern bathroom vanities, Waterfall faucet, Glass bowl, modern bathroom mirror and accessories ModernContext! The exquisite European Design and extraordinary function of the WATERFALL faucet brings distinguished elegance into every home it graces. 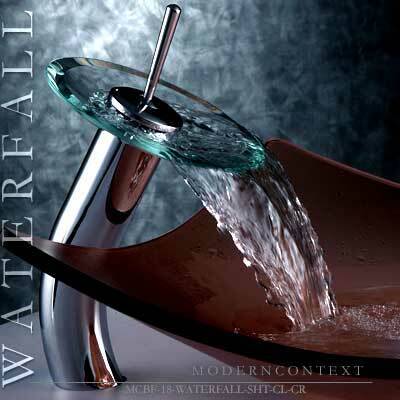 Waterfall is a single-lever mixer with an adjustable flow rate. Made with a massive 7" diameter dish-spout water-spot resistant, permatec coated, clear safety-glass and heavy stainless steel body. If you are going for a more radical bathroom overhaul then you may want to consider a modern mixer tap. But whether you are looking to recreate authentic rural charm, or to strike a pose with modern loft living there are certainly plenty of options available. For a modern look chrome is the obvious choice, but a satin chrome or steel finish can give a more subtle, yet equally contemporary effect. The choice for a contemporary bathroom is mind boggling, so follow your instincts and go for a style which draws you. Chunkier, more angular crosshead taps have brought the traditional cross head design bang up to date and these taps can look startling on most basin styles. But for many the appeal of a single lever mixer tap in whatever guise it takes, from sleek curved contours to angular geometric shapes, cannot be beaten. For a contemporary bathroom look chrome is of course the most popular finish to achieve this look, but many people are increasingly opting for a more subtle and even slightly industrial look, with alternative finishes like satin chrome or steel. Think angular, think chunky and think chrome! MODERN CONTEXT, INC., is direct importer and distributor of Modern Bathroom & Kitchen Fixtures from around the world, with a special interest in European Designs. As Direct Importer we offer you low prices for expensive decorations of Bathrooms and Kitchens. Let Our Store offer you the chance for Modern Bathroom and Kitchen Fixtures to enter your Homes, in the form of Tempered Glass, Solid Chrome and Stainless Steel. See our Gallery of Glass Vessel Sinks, Luxury Faucets, Glass Bowls, Complete Sets including Bathroom Mirrors with built in light as well as our full size Steel and Glass Bathroom Sinks and the breathtaking Glass Waterfall Bathroom Faucet. 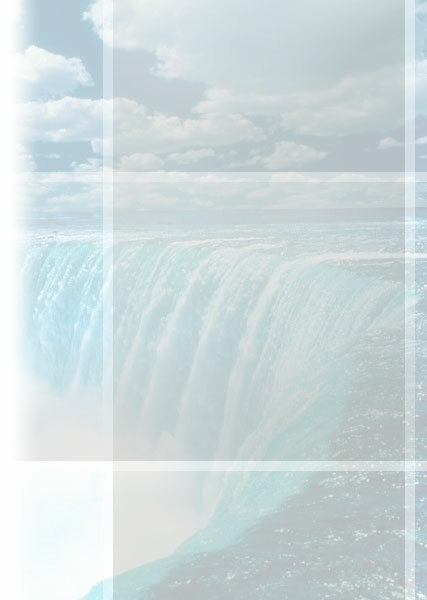 ModernContext is committed to quality and excellence in its products. Through our unique design products we would like to enter in your homes with a new forms and shapes for your interior designs. Thank you for letting us into your homes !